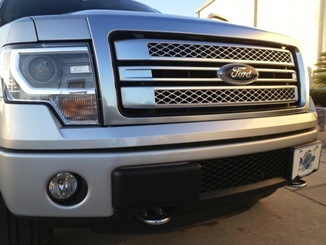 2012 EcoBoost Intercooler Hole - Ford F150 Forums - Ford F-Series Truck Community. I just bought a 2012 EcoBoost F150 and noticed the intercooler is completely exposed due to the hole in the lower bumper. Do I need to protect it? I came across a company in TX selling its "cooler Guard." Is this a good idea? Not necessarily a bad idea, but if it really needed protecting then Ford would have put something there. Your call Jarrod. 2012 Ram 1500 and 2012 Jeep® Wrangler Win "Best for the Money"